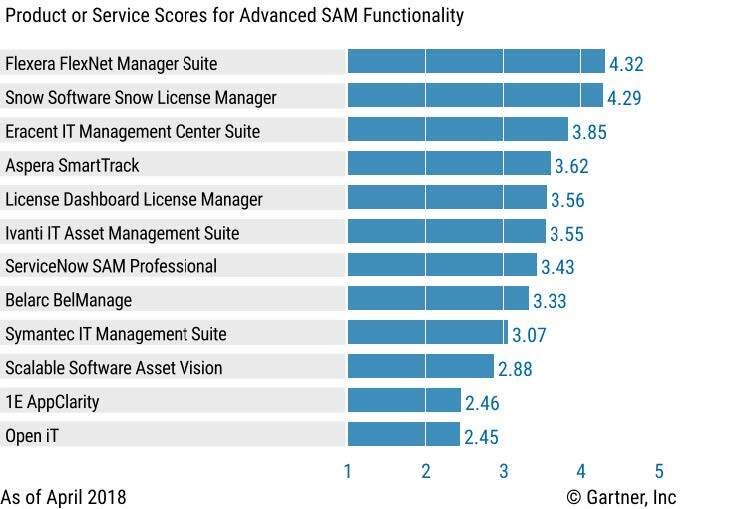 We’re excited to let you know that Gartner just published the Critical Capabilities for Software Asset Management Tools report, and our FlexNet Manager Suite for Enterprises scored highest in the Intermediate SAM Functionality and Advanced SAM Functionality use cases! The report also rated each SAM tool’s ability to deliver 10 critical capabilities on a 1-5 scale. 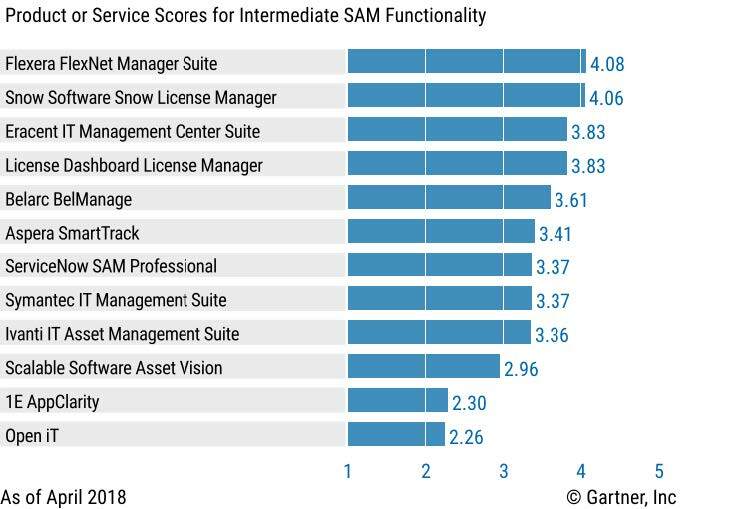 Download the Gartner report today to learn how Flexera scored highest in the Intermediate SAM Functionality and Advanced SAM Functionality use cases, in addition to our score across the 10 Critical Capabilities!